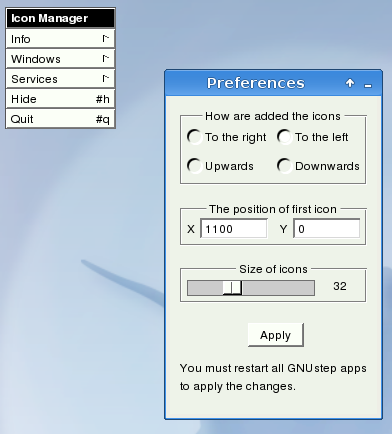 This tool is useful on desktops that can't handle GNUstep AppIcons and MiniWindows. This package comes with an app called IMPreferences to configure the tool. How these will be added. This page was last modified 22:23, 5 May 2011. This page has been accessed 37,393 times.